bjtransport.com 12720 South Hudson Rd, Afton, MN 55001. 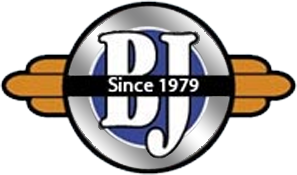 B J Transport, Inc. has served its customers with efficient, reliable, affordable trucking services since 1979! Our family-oriented atmosphere, combined with the unusually high longevity of our employees and drivers, create a special commitment to customer service that is unparalleled within the industry. Our teamwork approach promotes efficiencies within the office, on the road and at your customer’s dock. The pride we feel by successfully helping you manage both your freight costs and your high service standards is contagious at B J Transport. That’s why we’re known as the Uncommon Carrier! Because of B J Transport’s competitive size, it is uniquely positioned to offer greater flexibility in volume LTL applications. B J Transport ships direct across all 48 states- from 1 pallet to a truckload! Its proactive management philosophy, one-on-one customer service, and simplified rating system makes B J Transport, truly, an extension of your logistics department, and a partner you can depend on.